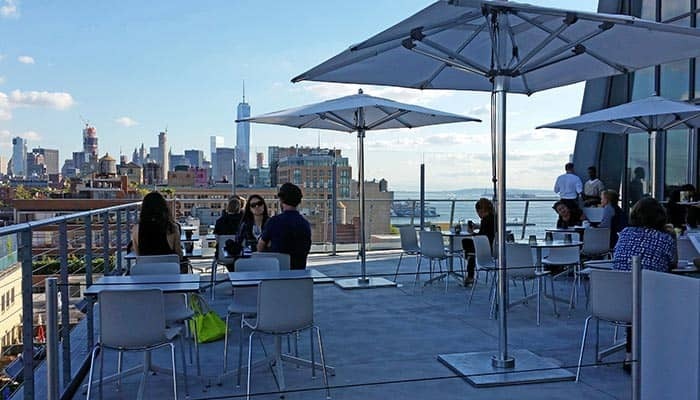 The Whitney Museum of American Art in New York – known as The Whitney – is one of those museums that might not be on your to-do list for your trip to New York. I, for one, think it’s a great addition to that list and a must-do for all those who are interested in modern art. The museum is named after its founder, Gertrude Vanderbilt Whitney, member of the well-known Vanderbilt family. In 1931, she founded the museum as a platform for new American artists with innovative ideas, who had a hard time promoting their unconventional work. 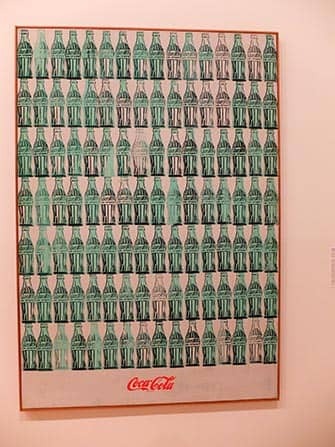 The main focus of the museum is on twentieth century American Art. The enormous permanent collection comprises of 21,000 artworks created by more than 3,000 artists. The collection gives you an idea of the influences on American art since 1900. 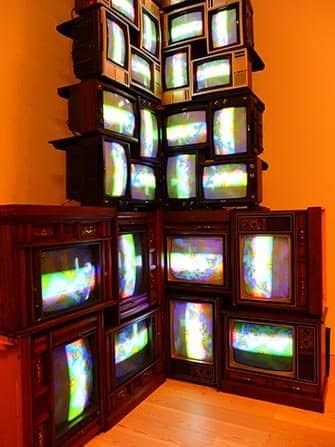 It contains paintings, sculptures, drawings, prints, films, photography, installation art and new media. The temporary exhibitions are also worth a visit. One of the museum’s most inspiring exhibitions was the one showcasing the work of Jeff Koons. Some of Koons’ artwork is now part of the permanent collection at The Whitney. From 1966 until 2014, the museum was located on Madison Avenue in the Upper East Side. Mid 2015, The Whitney was relocated for the fourth time. 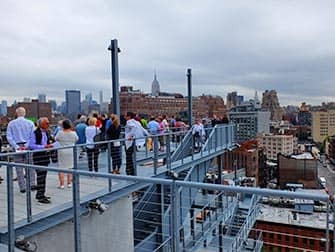 You can now visit the new building between the High Line and the Hudson River, which can both be seen from the museum. The building itself is beautiful, designed by Renzo Piano. The cantilevered staircase entrance leads to an outdoor plaza. 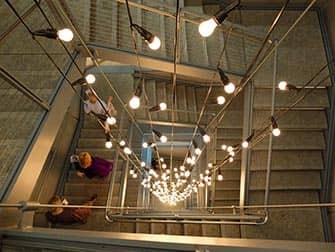 The Whitney includes a lobby gallery on ground-floor level (that you can visit for free). On the first and second floor you can admire the permanent collection. There’s a special exhibition area for temporary collections on the top floor. Not only does the museum include indoor exhibition areas, but also several outside areas and terraces. Some of those with great views of the High Line. 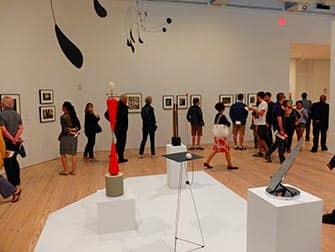 Another interesting feature of the building is its expansive gallery: it’s the largest column-free gallery in New York City. This gigantic exhibition space measures almost 18,000 square feet and is a must-see for those who love museums. Head down to the ground-floor level to buy souvenirs in the museum shop or visit the restaurant. Feeling hungry while admiring the artwork on the second floor? Don’t worry, there’s a café on the top floor too! 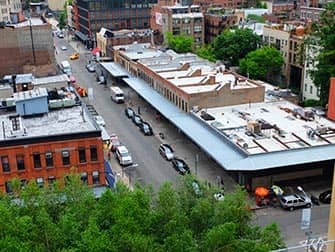 Eric’s Tip: The museum is located in the Meatpacking District. Combine your museum visit with a nice walk through High Line Park. When I’m hungry, I like go to Chelsea Market, a huge indoor food market nearby with a great variety of places to eat. In the weekends when the museum is open late, it’s more quiet and you can also have a nice drink on the roof terrace.